There are only as many days and the country is vast. 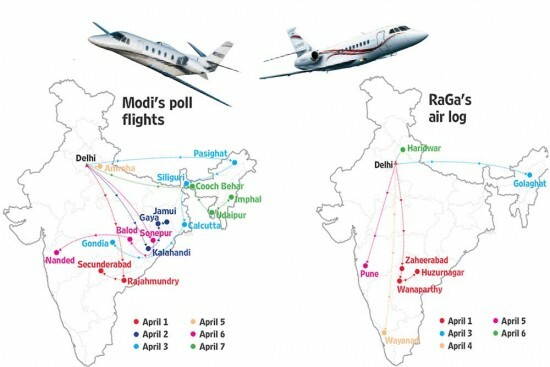 Right before any general election in India, political parties have to shell out for that modern day campaigning necessity: chartered aircraft that ferry and carpet-bomb campaigners across the length and breadth of the country. Parties hire a range of the latest aircraft from charter services across the country: from the Cessna Citation XLS, that costs just under Rs 3 lakh per hour, to single-engine choppers like the Bell 407 costing Rs 1 lakh for an hour. There are more than a handful of service providers in the sector. They provide two kinds of hire—on a daily or an hourly basis. In the Gujarat assembly elections of 2017, as per the expenses filed by the BJP with the Election Commission of India, the party officially spent about Rs 13.5 lakhs on a chartered plane for ‘star campaigner’ and Uttar Pradesh chief minister Yogi Adityanath on November 26 and 27. The planes that parties use are business jets like the Cessna Citation XLS and the Dassault Falcon. Also at their disposal are helicopters like the Bell 412, Agusta 109 and the Agusta 139. Single engine choppers like the Bell 407 and the Eurocopter, which cost Rs 1 lakh and Rs 1.3 lakh per hour respectively, are also frequently hired by political parties. And the top frequent flier is Prime Minister Narendra Modi. Just over the past week, Modi shuttled across nine states. 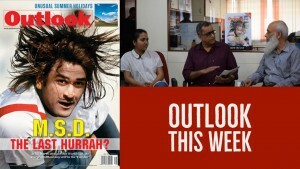 On April 7, he was in Cooch Behar in West Bengal, Udaipur in Tripura and Imphal in Manipur. To hire a plane for a single person from Cooch Behar to Manipur costs anywhere between an estimated Rs 11 lakhs in a King Air C90A to Rs 17 lakhs in a Cessna Citation Mustang-510. The real dope in terms of expenses will only be revealed when parties file expenditures with the ECI post-elections. Till then, catch your favourite leaders waving out to you from a plane near you.